Merge your laminate worktops seamlessly with adjacent kitchen walls using a matching splashback. Our Black Andromeda laminate kitchen splashback is manufactured using the same high-quality laminate as our Black Andromeda laminate worktops, which is wrapped around a 3000mm x 600mm x 6mm MDF sheet. 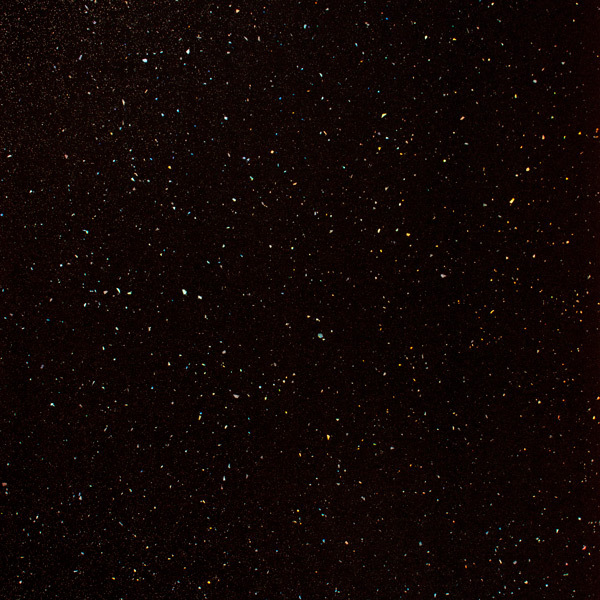 Black sparkle kitchen wall panels are an ideal alternative to using tiles or other types of coverings. They are designed to decorate the space between the worktop and your kitchen wall cabinets, whilst protecting your kitchen wall from stains and splashes. This black sparkle laminate backsplash is water-resistant, and can be easily cut-to-size.